Promotional campaign in the media informing about the book, and support in relation to the author’s visit to Poland. Extending the narrow target group through a multichannel promotional campaign, addressed to the media and key opinion leaders active in the field of economics, social issues, non-fiction literature and civilisation-related topics; drawing on the popularity of the Czech culture – involvement of various organisations related to Bohemia and groups of people having a strong affinity for the Czech culture. During Tomáš Sedláček’s two-day stay in Warsaw, he gave fifteen interviews (including to “Gazeta Wyborcza”, “Rzeczpospolita”, “Polityka”, morning TV show “Kawa czy herbata” at TVP 1 (Polish public TV station), “Gość dnia” programme on TVP Info, and Polish Radio Programme One and Three). The book has gained the recognition of reviewers from both the economic and general media. In total, more than thirty publications concerning the book were published in traditional and digital media, together with over a hundred publications on the Internet. 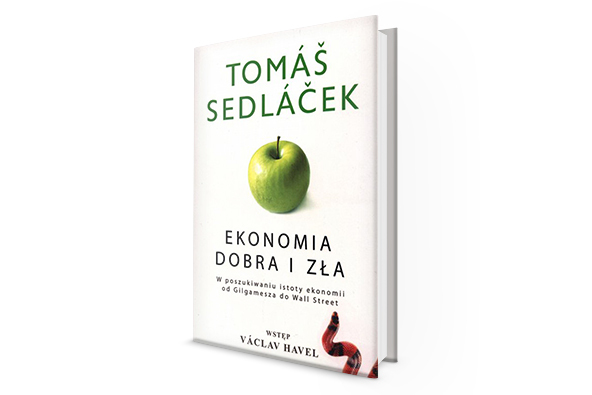 The book was the only economic title to hit the bestseller lists in this season.